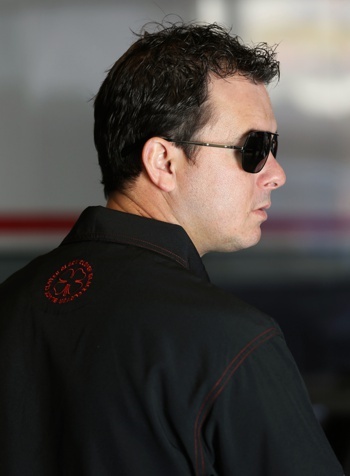 April 3, 2013 -- Top Fuel driver Steve Torrence is proud to announce Black Clover has become the official apparel line of Torrence Racing for 2013. The lifestyle apparel company offers high quality clothing and accessories for men, women and children. Black Clover's iconic clover emblem and "Live Lucky" slogan will be added to the Torrence Racing crew and race car for the remaining 21 Mello Yello series events. "Black Clover is a perfect partner for us," Torrence said. "Everyone at Black Clover prides themselves on quality and style, which are two things we also strive for at Torrence Racing. They are more than just an apparel company, they are a lifestyle company and we know their brand will fit nicely with the lifestyle of our NHRA fans." The marketing partnership with Torrence Racing will be Black Clover's first foray into motorsports since the company was founded five years ago. "Black Clover executives are very excited about the opportunities that drag racing provides," stated Black Clover founder Brett Wayment. "Steve introduced us to NHRA drag racing about a year ago and we were absolutely astonished by what we saw. The sheer power of the cars certainly got our attention, but the devoted loyalty and passion of the NHRA fans really impressed us as well. Our partnership with Torrence Racing is a good first step into this new world for us, and we envision growing our involvement as time goes on." Black Clover will be joining a growing list of Torrence Racing sponsors, including CAPCO Contractors, MAC Tools, Red Line Oil and Industrial Distribution Group. To celebrate their new partnership, Black Clover and MGM Grand will be hosting a free autograph session with Torrence on Saturday, April 6 at the MGM Grand Hotel & Casino. Torrence will be on hand from 7 to 8:30 p.m. for photos and autographs with fans before preparing for Sunday's final elimination rounds. Black Clover will also be displaying many of their product lines during the autograph session which will give fans the perfect opportunity to see the quality and style of the brand for themselves. Black Clover is a lifestyle apparel company with a vision rooted in living life to the fullest. We simply call it “Live Lucky“. Every premium hat, piece of clothing and lifestyle accessory is designed to inspire and invite its owner to enjoy life, to embrace every day, to Live Lucky! Established in 2008, Black Clover offers lifestyle clothing and accessories for men, women and children who want the most out of life and demand the same from their clothing and gear. Quality is not an accident, it’s a choice and we at Black Clover choose to be the very best at what we do. We choose to Live Lucky. Experience the thrill and join Clover Nation today.